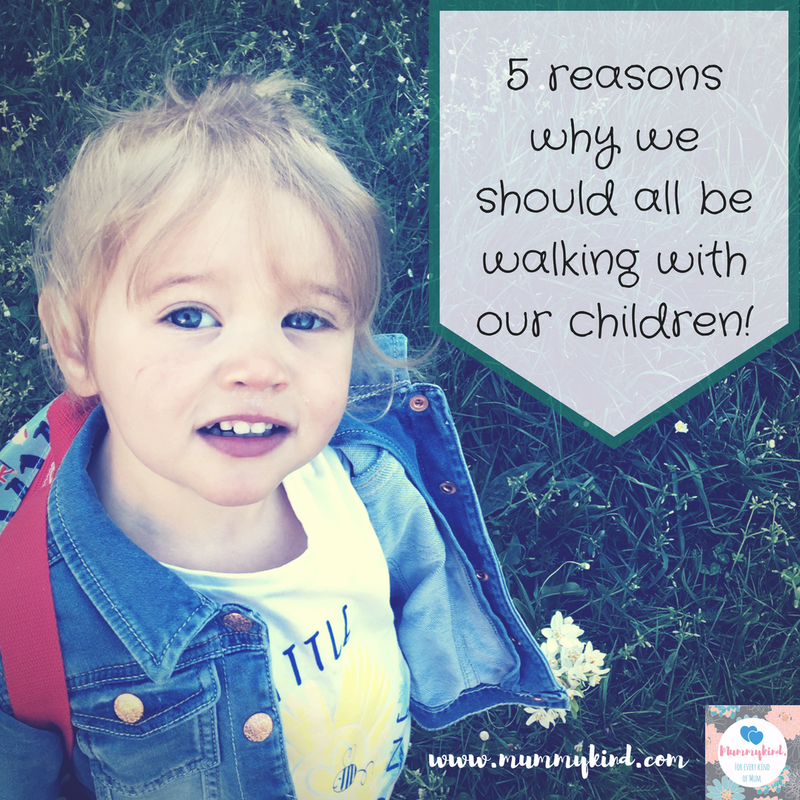 5 reasons why we should all be walking with our kids! https://platform.twitter.com/widgets.jsOne of my favourite things about my day, every day, is my morning walk with my daughter to drop her off with the childminder. She’s not even 2 yet, and this morning walk is already a part of our everyday routine… Why? Well, for starters, I can’t drive, and secondly, even if I could, it brings me so much joy walking with her. Of course, there are the odd stressful moments of characteristic toddler defiance, but more often than not we are both enjoying ourselves! 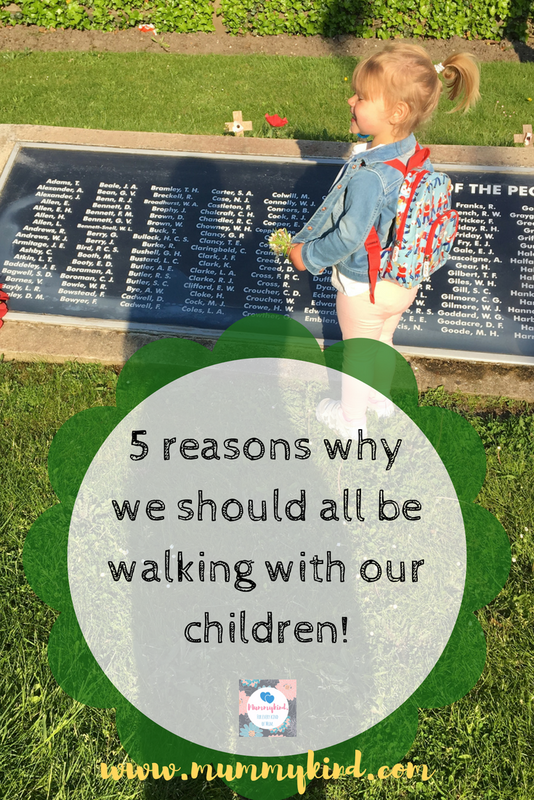 So here is a little list of reasons why, in my opinion, we should all be walking with our kids as much as possible – whether that’s walking them to school or to the local park, and no matter how old they are, the benefits are just incredible! Walking outdoors with her gives her so much more exposure to things that she is naturally curious about! The last two days when we’ve walked through town it’s been a constant interrogation of her asking me what things are, but she’s learning, and she’s having fun doing it! 2. Children have sooooo much energy! Seriously, Olivia runs faster than me. But again, the whole idea of her being outside makes her WANT to burn off that excitement and energy. What better way to start her childhood than doing exercise and enjoying it? God knows that probably won’t last if you stop encouraging your kids to go outside! Bit contradictory this one, but being outside in the mud on a rainy day is ridiculously good for our kids. It builds their immune systems up immensely, allowing their bodies to fight off bad bacteria on its own. And you know what? WHO CARES if they get dirty? What are baths for? Olivia always comes back from her childminder caked in something, and it’s a sign that she’s had fun! You can always find her in the garden playing, and as much as I will be regretting putting her in a white cardigan/top while she’s rolling around in the grass, that’s more fool me, and to her, there’s absolutely nothing wrong with that, so why tell her that she shouldn’t be “getting dirty”? Walking is a form of exercise, and particularly if you go on a nice, ample nature walk with the kids, you’re going to burn a lot of calories! But even putting the physical benefits aside, you’re going to benefit mentally. Getting fresh air and exercise releases endorphins, and, of course, you will love the bonding experience of walking with your children, creating memories with them that will last forever. Too often now parents are quick to stick the kids in front of the TV for 5 minutes of peace… Trust me, if mine would sit still long enough I’d do it too! Screen time is normal for kids now, but to me it feels like it’s one thing that stops them from being children. Playing outdoors is such a normal part of childhood, and I would hate for that to end too soon for Olivia. Making a nice walk (or run, in her case as she runs everywhere!) part of a daily routine will hopefully give children that extra push to love being outdoors in spite of the attraction of the xbox or PS4. Then, in years to come, your kids will be instilling the same childhood loves in their kids, and so on! Times and technology may have changed, but the way we help our children to enjoy their incredibly short childhoods doesn’t have to! 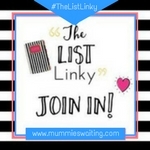 This post was featured on Confessions of Parenting as a post with the most clicks on the #WanderingWednesday linky! Yes! We love taking the little one on walks, it helps give him an outlet and make him calmer for the day. Yeah definitely, and with all good exercise it makes them tired out at the end of the day! Aww yes I know it can be difficult sometimes when you're rushing about, but it is lovely to have that time just you and the little one 🙂 thanks for commenting! 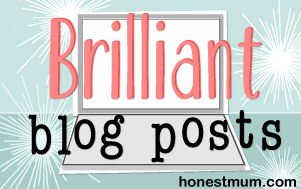 Previous Post Mental Health Monday: Postnatal anxiety and me.